A dad’s job for Mother’s Day is to find a gift his kids can make and give to their mother in appreciation for all the junk she has to put up with all year. Thankfully for many of us dads, grandmothers need projects too, which moms often oversee. So if you’re lucky, you can watch your wife pull together some resources and piggy-back on that a little. We followed the links and eventually landed on a Disney FamilyFun page and a project they call Flower Power. 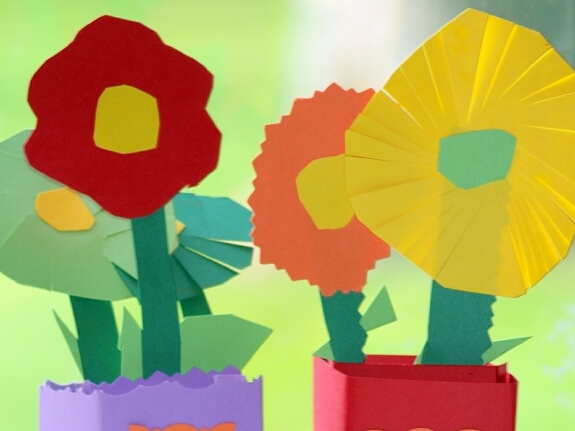 This little bouquet of handmade flowers, cut from paper, folds up flat and can be mailed. (Grace’s finished flowers are there on the left.) This is perfect for the grandmother and great-grandmother we have living at a distance. 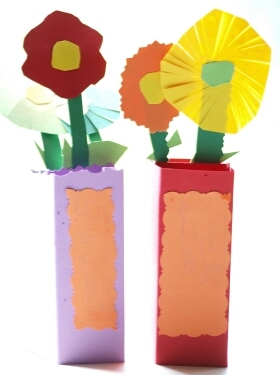 Another idea, and one that fits in with the theme of this site, are Paper Blossoms. You will need to go outside and collect some long thin branches. Sticks and twigs seem to be strewn everywhere this time of year, so it should be easy to find them. Along the branches you glue tissue paper flowers for nice effect. Now that the kids are set, I just need to figure out what I am going to do for Mother’s Day. Do you think mom will go for tissue-paper carnations?